Hello fellow mobsters its Tropical again with another bink story. Today things got even better for me. 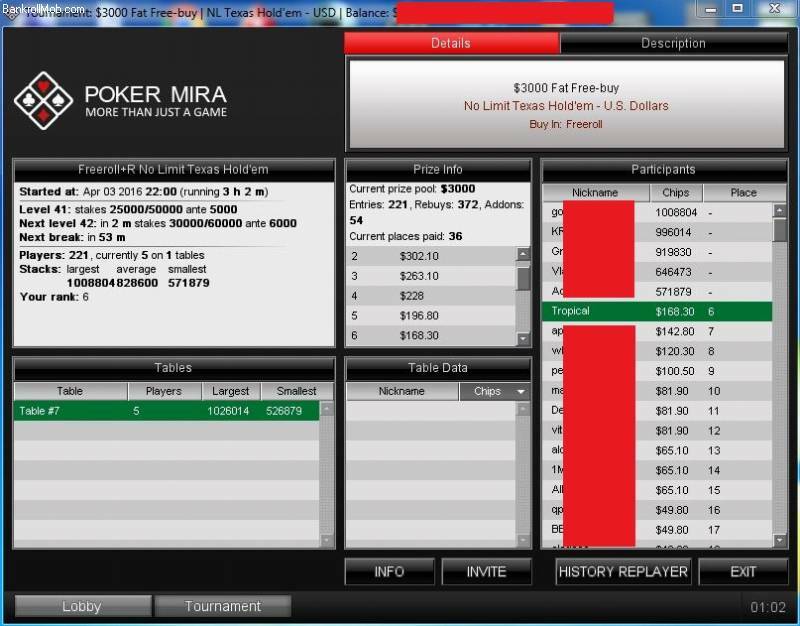 Poker Mira was holding a promo where you get a ticket to a $3000 tourney if you deposit $10 and i took advantage of it. 221 player registered and there was a $5 fee to rebuy and $8 fee to addon both of which i did once. 36 paid places with $24 for min cashing. Unexpectedly I managed to capture 6th place in this 6 handed tourney. I was the shortest stack on the final table and bust out first for a cool $168.30.